Attention! 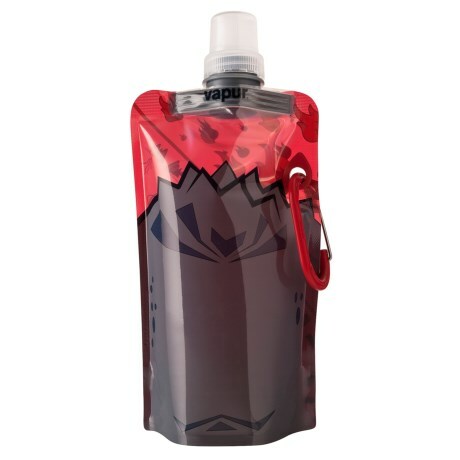 The Vapur brand is victim of counterfeits from China for a number of years. 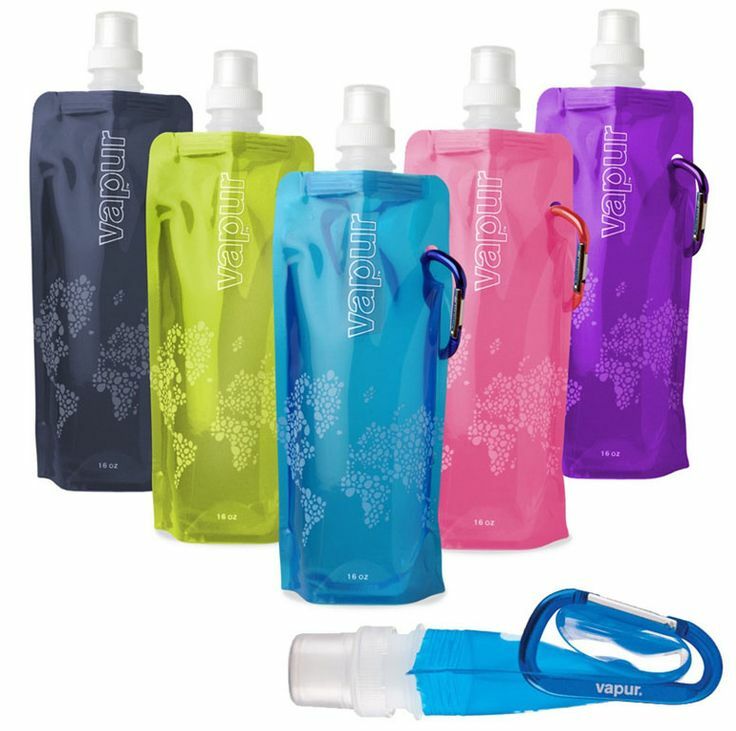 These counterfeits of foldable and reusable water bottles are of poor quality. The copy goes up to resume the arguments of the package (may doubt whether “without bisphenol A” phthalate, still less printed on vegetable ink or has been produced with wind energy). This forgery is recognized for term leak and does not have the same life expectancy. Counterfeiting is not guaranteed 12 months by the manufacturer of course. In this article, we will explain what are the differences, how to identify counterfeit and what to do if you bought a counterfeit. What are the differences between the original and counterfeiting Vapur? and why must it avoid these fakes? Place of manufacture in the United States: Vapur proudly displays his gourds are manufactured in the United States. Counterfeits often display that they are made in China. Mention ‘Made in China’. “These counterfeits are distributed directly from China or through wholesalers who supply themselves in China. 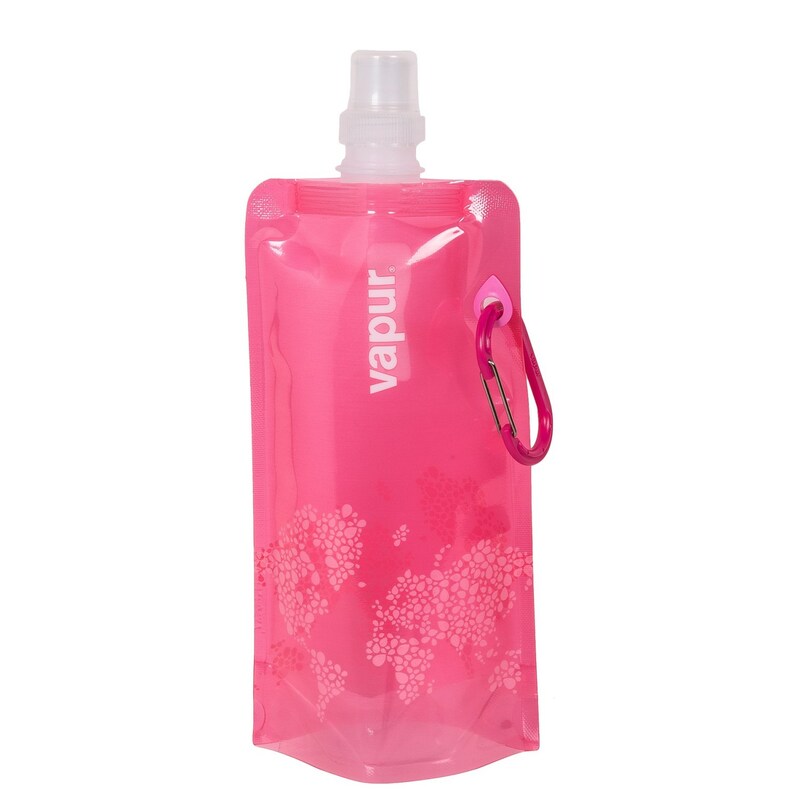 The materials and components from Vapur are of high quality, unlike fakes that there is no guarantee that they are without phthalates or Bisphenol A. At your own risk so! The caps of fakes are all white, made of a lighter material that bends more easily and smaller than the originals. 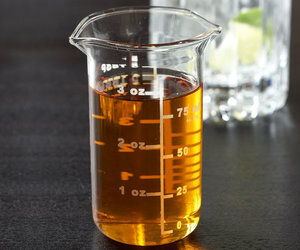 The originals introduced the transparent cap on top, which is not systematic on counterfeits. 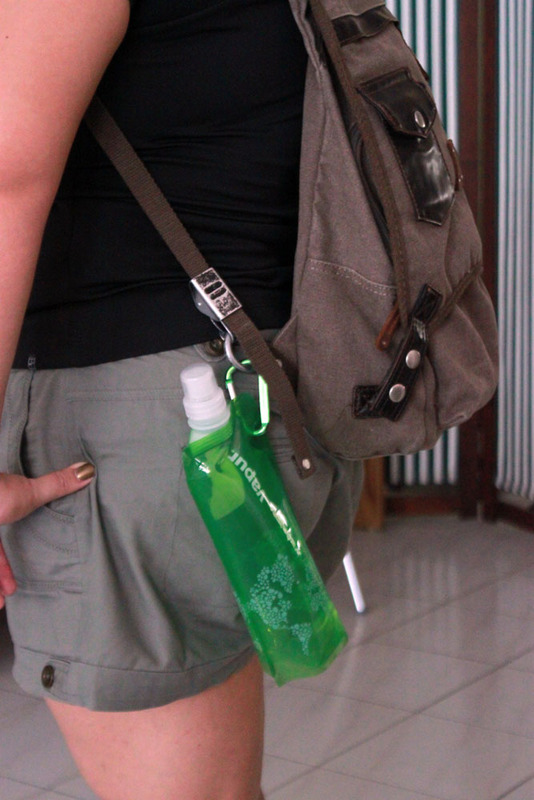 On counterfeiting, the carabiners are thinner and do not have the Vapur top, unlike the original logo. 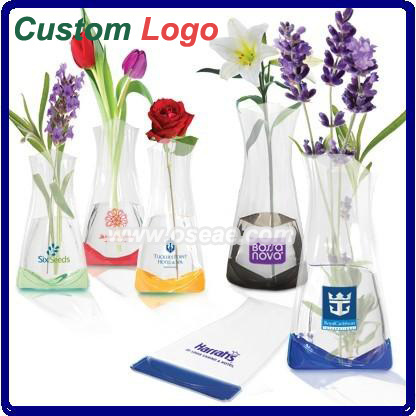 Counterfeit health products production and environmental conditions are not reliable (as it is an illegal copy). The originals are guaranteed by Vapur during 12 months. The counterfeits are not guaranteed. To the touch, you feel that the quality is distinctly different. On the one hand, the original is soft, like counterfeiting of the pieces of thick plastic sheets. How recognize a counterfeit, points to check! First it is important to have a real picture of the product if you buy on the Internet because of course, counterfeits sometimes use pictures of the original manufacturer. You can be sure when you will have the product in the hands (or have a picture taken by the seller in his State). First the price should put you a flea in the ear… counterfeits have an extremely low price compared to the original price. However it has been reported that counterfeits were sold also to the public (which is now squarely in the scam to the consumer). 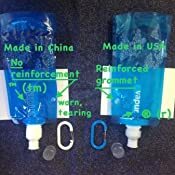 In the (counterfeit) reflex range, on the bottom of the package, the photo of the flexible of counterfeiting gourd is always ‘GREEN’ whatever the color of the gourd sold. While on the original photo is matched to the color of the gourd sold. 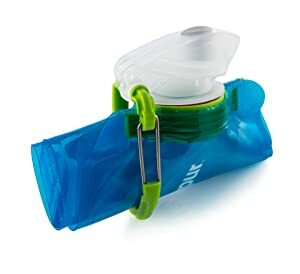 In the reflex range, fakes have an volume of 480 ml capacity (or 16 oz) against 500 ml (or 18 oz) for recent models of Vapur (after end of 2010). 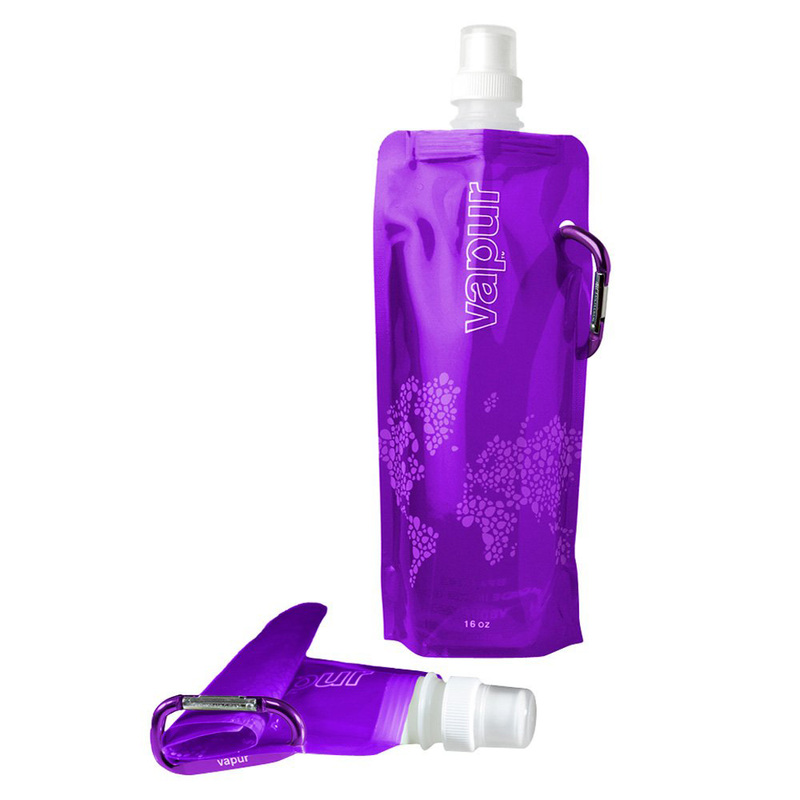 On the reflex model, the world map is on 2 sides of the product at the level of the original. The font of counterfeiting uses the old font (White Outline on transparent background “Outline”) while the new font of Vapur is now ‘full’ solid white. Vapur has not signed partnerships to license child “Hello Kitty”, “Angry Birds”, “Sponge Bob”, “Disney” (Winnie the Pooh or Stitch), these are fakes! The packaging with its fold underneath must be able to stand, which does not have counterfeit packaging. The symbol ‘TM’ (for Trademark) is systematically removed on counterfeiting beside the word Vapur, while he is present on the original. Buy from distributors approved as thirst-of-Gourde.fr which ensure flexible reusable canteens Vapur are very original and authentic! What to do if you bought a counterfeit / imitation Vapur? If you bought a counterfeit, then back you against the vendor that you bought the counterfeit. The manufacturer cannot alas help you. Contact the seller in order to obtain a refund for the product. 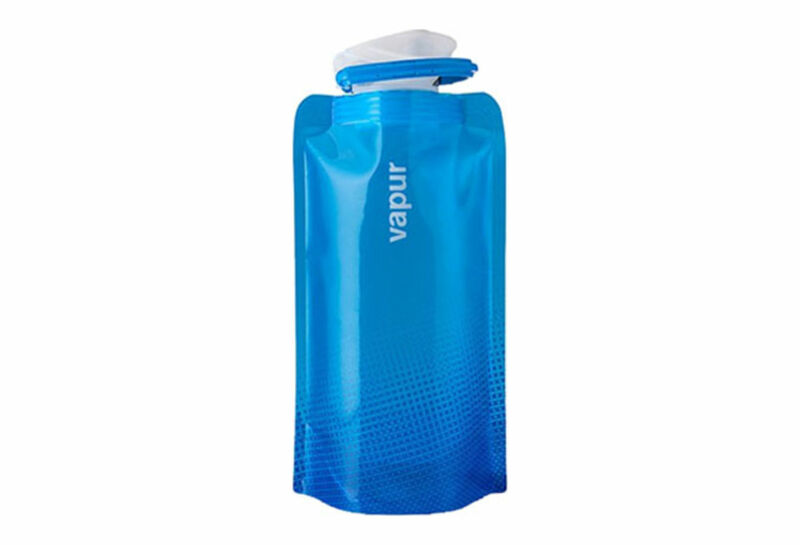 You can help yourself from consumer associations, delayed until the DGCCRF (direction of fraud), similarly n’ not hesitate to contact the Vapur brand to report the facts.